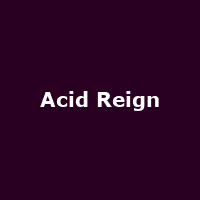 Acid Reign are a British thrash/ speed metal band formed in 1985, disbanded in 1991 and reformed in 2013. The band features founder member and singer, Howard "H" Smith. They released their debut album, "The Fear" in 1989, followed by 1990's: "Obnoxious" (1990).